What gift should GISS Alumni give back to Grundtvig? Welcome to the G.I.S.S. Alumni Website! ♦This Alumni site serves as a medium for all 'Grundtvigians' students, teachers, and beyond, to meet, reconnect, discuss, enjoy old memories, share new ones, and much more! ♦ Update Your Classmate Profile! ♦ We have also gathered to discover ways of giving back to our beloved Alma Mater. We hope to plan a multi-class reunion and create a 'GISS Alumni Association', so if YOU are interested in participating, please contact us! ♦ What are GISS Alumni around the world up to? Visit GISS Alumni Spotlight and find out! 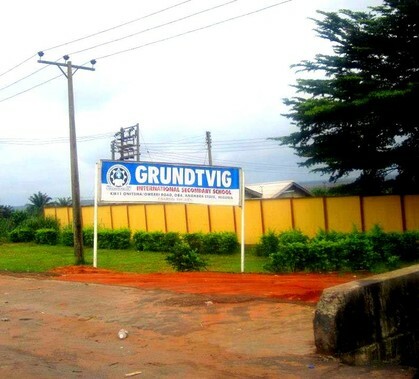 We are here to support our fellow Grundtvigians in all endeavours. ♦ Click GISS Web Links to connect with GISS around the web. Have something to say? Complete the GISS Survey and Write on the GISS Discussion Board! ♦ Visit the 'In Memory' Page dedicated to our GISS members resting peacefully with the Lord. ♦Have Fun Reconnecting With Old Friends, Making New Ones, Remembering the "Good Old Days," and overall Enjoying This Website! Good morning Teachers, Good morning Fellow Students!"